The more we learn about the universe, the more it looks like the building blocks of life—organic molecules, amino acids, planets near a sun—are present throughout. Much of what we used to consider unique to Earth is in fact shared by the cosmos, and life on other planets seems as likely as ever to exist. This has implications for both astronomy and biology, two fields that traditionally have been considered separate. In advance of the Zócalo event “Was Human Life Inevitable?” we asked several people from the world of science to contemplate the following question: what can astronomers teach biologists? In the past century astronomers have charted out the origins and scope of the universe as well as the remarkable processes within it that give rise to every crumb of matter that you or I, and the earth itself, are composed of. In that extraordinary recipe are a number of quite startling facts that I think provide biology with an important perspective. We’ve found that the chemistry of the universe is essentially organic chemistry. Out in interstellar space the majority of molecules we can detect contain carbon. In the tumult of baby star and planetary systems we see the same thing: carbon chemistry and lots and lots of water everywhere. We’ve also discovered that planets are abundant, something we didn’t know for sure even a few years ago. These worlds come in an enormously diverse array of forms and system architectures. The lesson from astronomy therefore is that the cosmos is jam-packed with pathways that are going to produce planets stocked with recognizable chemical mixtures comparable to those on Earth. There must also be vast numbers of alternative environments that while alien are nonetheless equivalent to Earth in some respects—whether they are subsurface oceans of water on moons or tiny pockets of temperate conditions on or within larger worlds. So I think one of the most important things that astronomers can teach biologists is to confront questions about what aspects of life on Earth may be genuinely universal and what characteristics are parochial. It’s not an easy task, but we’ll need some answers if we ever detect biosignatures on a distant world, and astronomers are now closing in on that possibility. Caleb Scharf is an astrophysicist and Director of Astrobiology at Columbia University in New York. His blog Life, Unbounded is hosted by Scientific American and his latest book, Gravity’s Engines, tells the modern scientific story of black holes and their role in the universe. On planet Earth, life has adapted to every possible and extreme environment, including hydrothermal vents in the deep ocean, dry deserts, and cold polar regions, to name a few. Biologists should remember that life on Earth is made from “stardust” and that it is one of the outcomes of the formation and evolution of our solar system. During cosmic time, many galaxies undergo intense periods of star formation, during which elements like carbon, oxygen, nitrogen, silicon, and iron are produced. From those elements a wide range of organic molecules can be formed in interstellar molecular clouds and circumstellar envelopes. Astronomical observations, space probes, and the analysis of extraterrestrial material suggest that the basic building blocks of life, at least as recognized on Earth, are widespread in planetary systems in our galaxy and beyond. 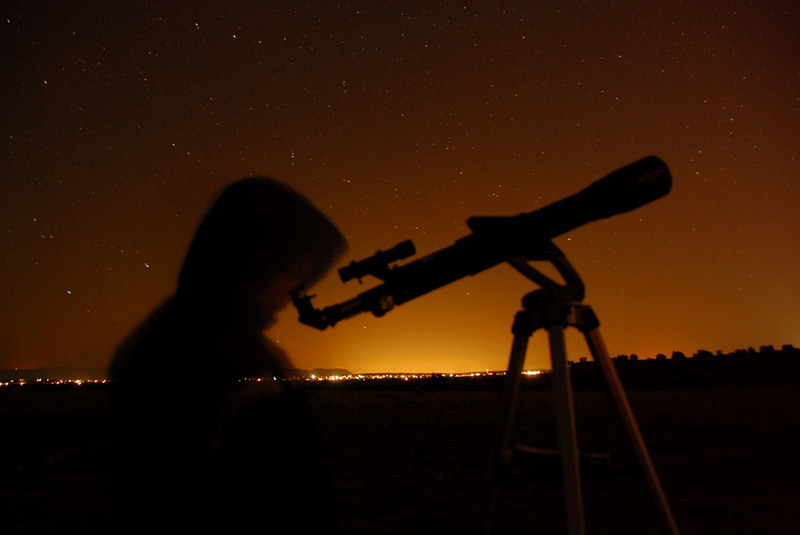 What can astronomers teach biologists? For many biologists investigating the complexity of life on Earth, the astronomical context may be unknown. Astronomers can teach biologists to better understand where the raw material for life on Earth originated. They can help them to learn more about the “planetary habitable zone” and the probability of life elsewhere in the universe. Most importantly, astronomers can engage biologists in interdisciplinary and exciting research on planets outside the solar system to identify new habitats for life beyond Earth. Dr. Pascale Ehrenfreund is research professor of space policy and international affairs at the Space Policy Institute in Washington, D.C. and member of the NASA Astrobiology Institute. Her research experience and interest range from biology to astrophysics, with special emphasis on the search for life on Mars. If you’d asked this question a century ago, the answer would have been “Nothing.” Today, astronomy is biology’s leading edge. It’s through astronomy that biologists will further ponder the deepest question of all: what is life? This historic intersection of astronomy and biology is what I’ve dubbed the Stardust Revolution, the third great scientific revolution of the past 400 years. The Copernican Revolution body checked the Earth as the pivot point of creation and joined us with the cosmos as one planet among others orbiting the sun. The Darwinian Revolution tied us into the warp-and-weave of all life on Earth, rather than something distinct. Now the Stardust Revolution is merging the Copernican and Darwinian ones, placing life on Earth—putting our lives—in a cosmic context. When the Apollo astronauts first landed on the moon, we thought that chemistry on Earth was distinct from the rest of the cosmos. However, the past 40 years of radio telescope observations have revealed that we’re part of a richly molecular cosmos. The molecules that we think of as the building blocks of life on Earth—sugars, amino acids, the structural molecules of nucleic acids that seeded the early Earth with a molecular toolkit for life—are in fact the chemical language of the cosmos. Already eight of the 20 amino acids that make up you and me have been extracted from meteorites called carbonaceous chondrites. But a great discovery beckons. Just as Darwin’s evolutionary theory depended on comparative biology, to understand life in a cosmic context we need another living planet with which to compare Earth. The search for another living planet, an alien Earth, is currently the greatest quest in 21st-century astronomy. From what astronomy has already revealed, when we find this other world, we won’t be finding a completely alien world, but, biologically, a distant cosmic cousin. Jacob Berkowitz is a science writer and author most recently of The Stardust Revolution: The New Story of Our Origin in the Stars. He lives in Almonte, Ontario, Canada. Deep down, biological organisms are made of atoms, which are made of elementary particles, which are studied by physicists. That doesn’t mean that biology is a subset of physics, but maybe physicists have something to teach biologists about the general way that matter and energy behave. As our universe expands and cools in the aftermath of the Big Bang, the difference between past and future is defined by the increase of something called “entropy.” Roughly, the universe becomes more and more chaotic and disorderly as time goes on. How can that possibly be compatible with the appearance and evolution of life? Physics suggests the question, but can also provide an answer. While entropy (disorder) simply increases, complexity first rises and then falls over time. What we think of as “complex structures” aren’t incompatible with increasing entropy; they are actually a consequence of entropy’s increase. In the right circumstances, the best way for entropy to increase is for complex structures to spontaneously arise in local regions of space. The most complex structures of all, of course, are living beings. We think of organisms as requiring energy to live, but that’s not quite right. We take energy from the environment, but we also give it back, in essentially the same amount. What organisms really require is energy in a “useful,” low-entropy form. Thinking hard about how entropy and complexity evolve over time is exactly the kind of thing that physicists are trained to do—and those subjects lie directly at the heart of biology. Sean Carroll is a theoretical physicist at Caltech, and author of The Particle at the End of the Universe.